Theta and Alpha state binaural beats recordings will induce a state of relaxation on demand. The lower down into the Theta zone you go the more relaxed you will feel. For this reason, many meditators use Theta recordings to induce a state of relaxed, focussed, centred awareness. Being less stressed and less anxious does wonders for your sleep on its own. You’ll fall asleep quicker and sleep deeper because you’ll experience less mental distraction. 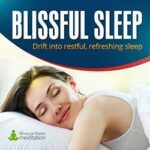 But for those struggling with insomnia and an overactive mind before bedtime, using a Delta zone recording before bedtime will work wonders when it comes to inducing a deep, restful, reenergizing night’s sleep. Less stress, and better sleep alone will hike productivity, but adding a Beta state recording link Energy Express to the mix will give you a kick up the bum when you’re having one of those lazy days. Or, if you want a little more focussed attention and not so much energy, hike your concentration ability with Zen Focus. Combing sessions of Theta meditation, with a Beta recording like Super Brain Power that stimulates learning centres in the brain, will increase your ability to retain information. If you’re a forgetful person, or someone who reads a page, only to forget what you’ve just read the next moment, this is perfect for you. If you suffer writer’s block, be it for ideas for music or art or for ways to move your company forward, then stimulating your creative juices with a recording like Creativity Boost is just the ticket. The sound design complements the binaural track, evoking ideas, inspirational and motivation in a stream of innovative thought processes. Get a pen and pad ready! We all need to get out of the rat race now and again and find some mental spaciousness, and what better way than connecting with Mother Nature/your God of Choice. Bridge the gap between you and your spirituality by meditating your way to a higher Spiritual Awakening. 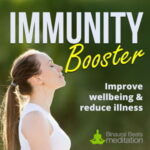 Whether you’re a seasoned meditator or a beginner, meditation is made much easier with the assistance of binaural beats. Our low Theta Deep Meditation recording brings your mind to centre, helping you quickly cultivate a state of mindfulness, undistracted by the grasping and striving of the physical world. If you’ve always been an intuitive person then why not open your third eye and expand your sixth sense. Doing so will help you see deeper and clearer into the word, and heighten your ability to make decisions based on intuition and energy. Meditation will help you get there, but why not go a step further and explore other dimensions beyond the physical world. Try stepping into your astral body and travelling the astral plane. It's not easy to do, but using our accompanying guide you'll soon be on your way to Astral Projection. Binaural beats are increasingly being used to combat conditions such as ADHD and panic attacks because of their ability to entrain the brain into a relaxed state. If you struggle to face situations like job interviews, social gatherings and unknown journeys or challenges due to symptoms of anxiety or hyperactivity, then try our Anxiety Release recording to get over the barriers stopping you performing at your best. If you’re feeling down in the dumps, perhaps suffering a little depression, then binaural beats can fix that too. Simply stick on a pair of headphones and listen to our Chill Pill meditation . This track will pick you up, dust you down, massage your mind and soul and leave you feeling on a natural high. By improving all these core life areas, it’s a no-brainer that you’ll feel more happy go lucky, more chilled out, more contented and more fun to be around. Listening to binaural beats offers a complete life-optimizing experience capable of maximising your potential in key life areas. 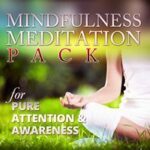 To get all these benefits and more in one mega value package, check out our Mega Meditation Pack.